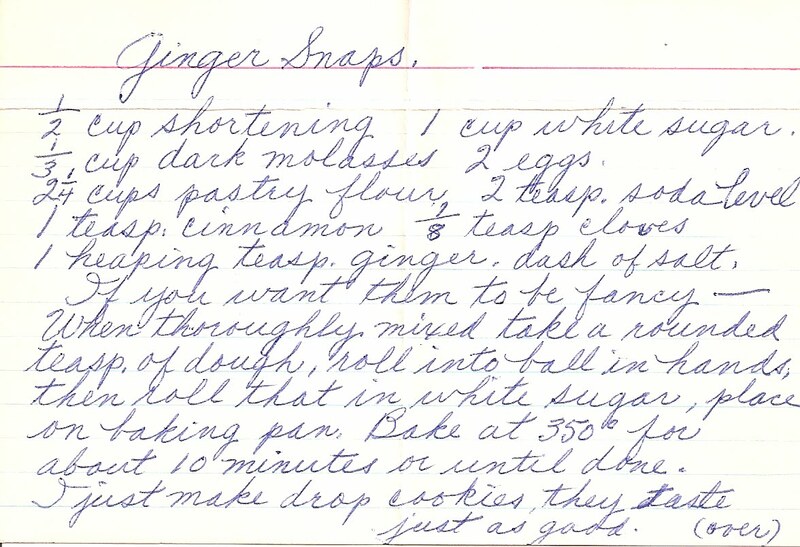 Though I can't recall ever eating ginger snaps, it sounds like a Christmas cookie recipe. 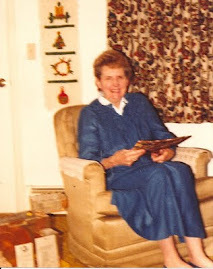 Check below for Grammy's tips. -Mix ingredients into dough. Spoon into drop cookies and place on baking sheet. -Bake at 350 for 10 min. "If you want them to be fancy -- when thoroughly mixed, take a rounded ts of dough, roll into ball in hands, then roll that in white sugar. Place on baking pan." "I just make drop cookies, they taste just as good."